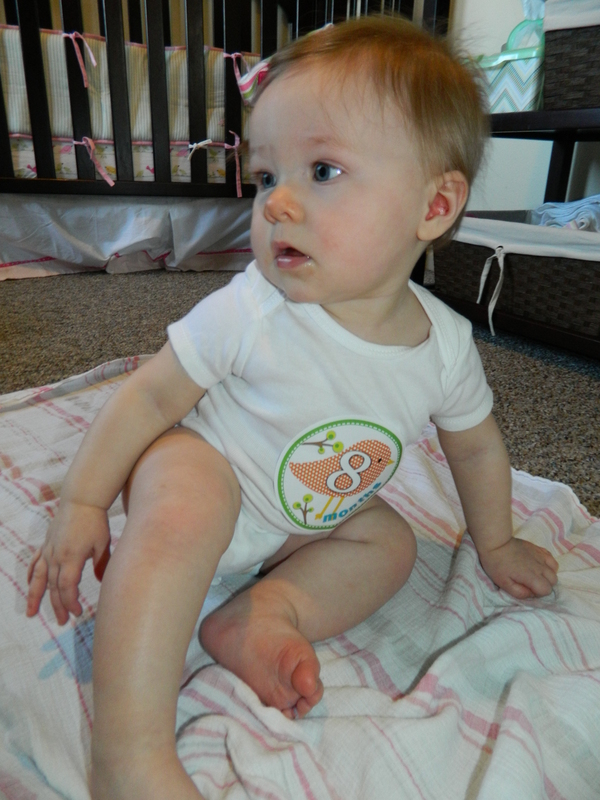 You are 8 months old going on 18 months. .. You are fully on the move and clearly itching to do more. Please don’t. 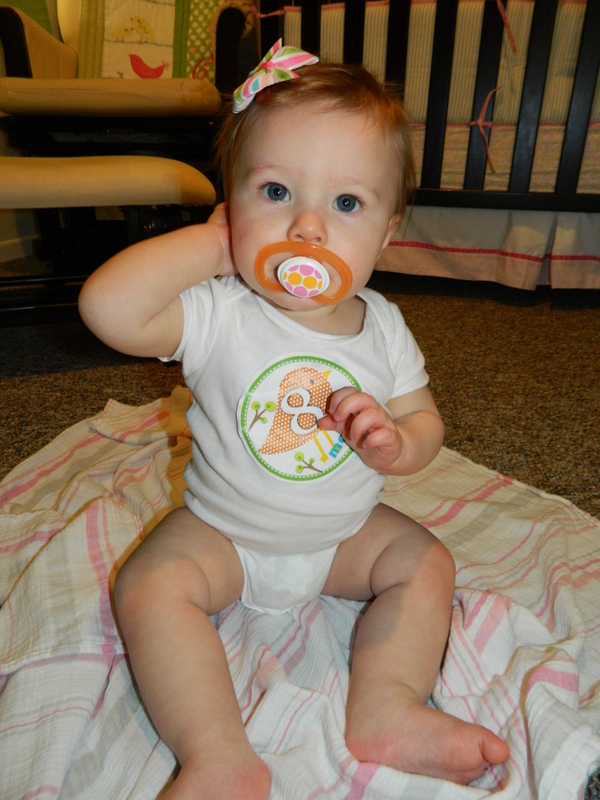 Mommy and Daddy need the sanity and peace of mind that comes with a baby who can’t walk yet. You are now a master at pulling yourself into standing position. You can pull yourself up on any and everything, even if it’s not too safe to do so. You can also now safely lower yourself back down on to the floor, bend to pick up objects and return to standing, walk around objects while holding on and move yourself from object to object (i.e. the coffee table to the couch) while standing with no problems. 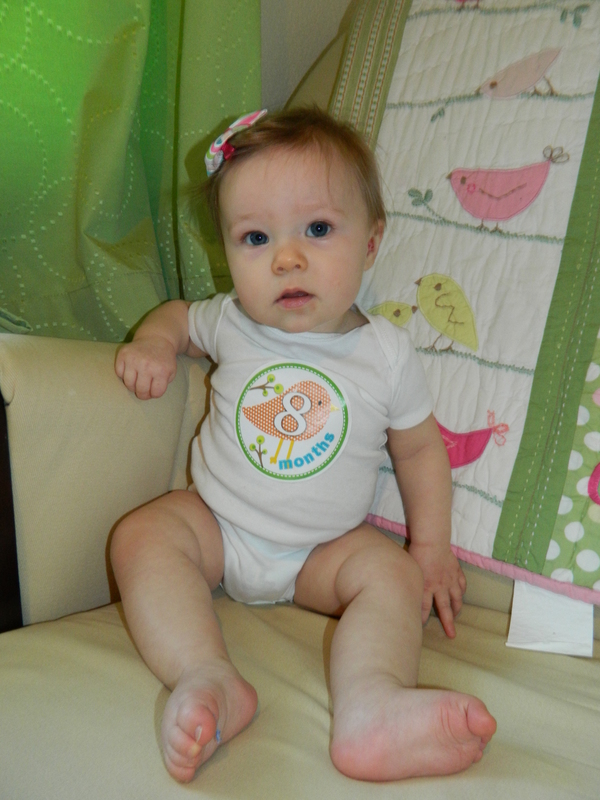 Aside from becoming a pro at standing, your biggest accomplishment this month is growing a TOOTH! A few weeks ago I thought that it looked like part of your lower gums had a dent in it but I couldn’t be sure because your are a little booger and cover up your gums when anyone tries to get a peek at them. But upon further inspection, we have definitely spotted and felt a tooth on your lower left side. This is a big deal in our family since your brother only had one tooth by the time he turned one. The more teeth you have, the more yummy foods you can chew, which you love to do. 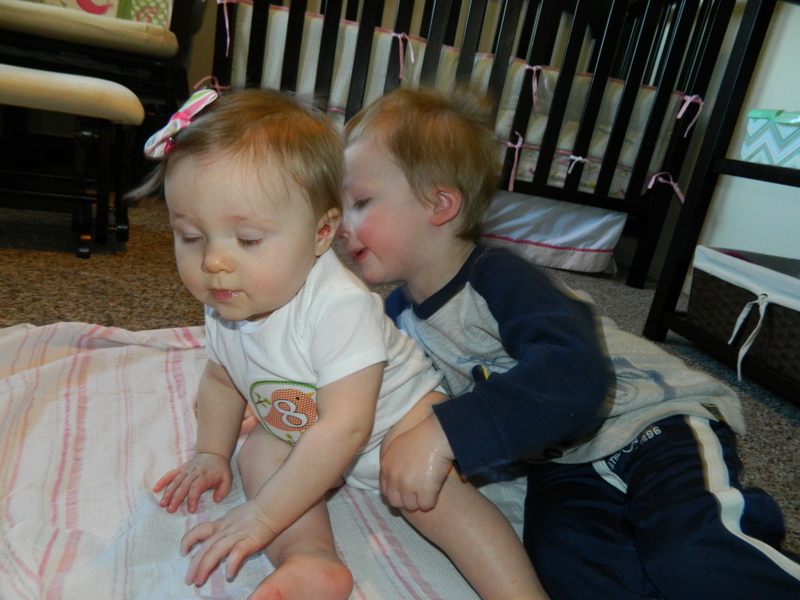 You are the best little eater and it is really exciting for us to watch you try and LOVE each new food. Occasionally you wave “Hi” and give “high fives” to people. The bath is your new favorite hang out spot. If you know anyone is in the bathroom you scoot your way in there hoping to get a bath. Your bright and sunny demeanor is continuing and you are such a joy to be around. Thank you for being such a sweet and laid back baby. 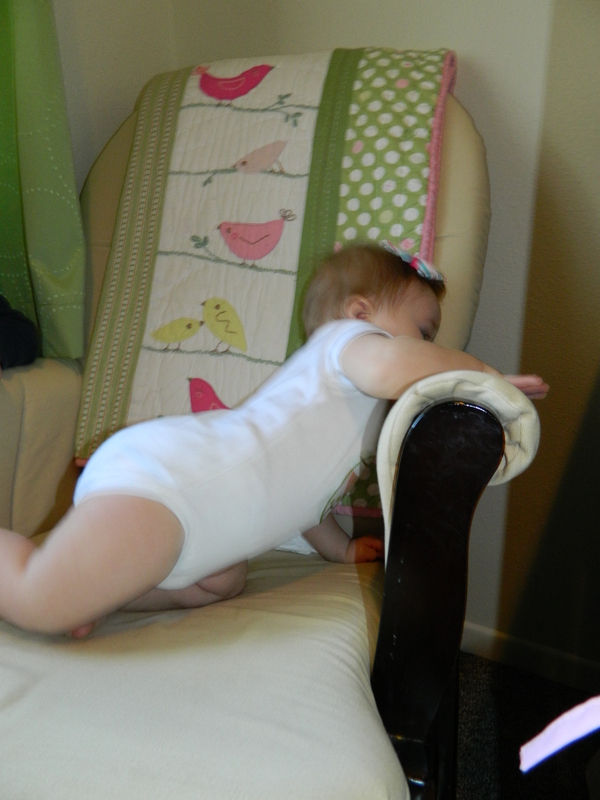 This entry was posted in baby girl, Cecilia, crawling, Dear Cecilia, Uncategorized, update. Bookmark the permalink.